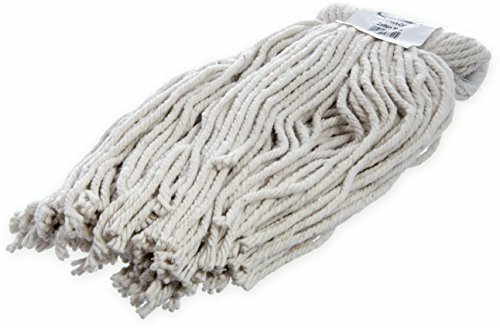 Carlisle #16 Flo-Pac Kwik-On cotton screw top cut-end wet mop. Fast, efficient, and easy to change mop heads. Mops lie flat for more efficient mopping. 4-ply cotton yarn mop head. Cotton mop heads provide high absorbency and long wear. Designed for general use; scrubbing. Cleaning up liquid.